Arg! Exams to correct! Christmas presents to buy! Broken computer! Throwing up child! No time! 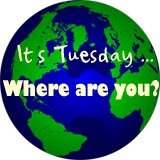 Where is reading taking you today? answer in the comment or post to your blog. 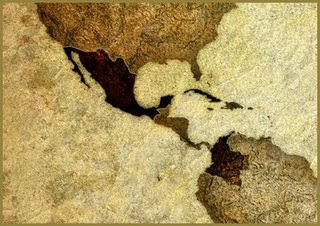 Let everyone know what interesting places you are travelling and people you are meeting. I buy books that I want to keep, to be able to reread. I buy books for my kids. I buy books when I want to be able to read the book when the feeling strikes. I buy books for presents. I buy books at second hand stores or used book sales. I buy books in the Scholastic order, because it's fun to get books at school. I buy books after I've borrowed them from the library because I want to be able to look at the book later and remember how much I loved the book. I buy books for my classroom. Weekly Geeks this week is to highlight an author. I am choosing Andrea Camilleri, author of the Inspector Montalbano mysteries. I've read the first four in the series. All info is from wiki. What did we do before wikipedia? I love a good suspenseful thriller. I started this one yesterday, and since I had today off, I read all day. It was a real page turner, with twists and turns, some I could somewhat see or at least suspect, but still satisfying. The prologue starts with Derek, the seventeen year old son of the narrator, sneaking into a neighbour's house in upstate New York, and then being present but hidden while the family is massacred at gunpoint. The ensuing investigation unearths secrets of all the people connected with the family. Murder investigations often leave many people feeling exposed, and as unexpected details get discovered, more than a murderer can be the result. It's no fun to read a review of a book that derives its pleasure from suspense, so there will be no incriminating details here. The characters were realistic, facing moral dilemmas and not always making the right choices. But overall, I thought Derek and his family were more like people caught in an unusual situation and making decisions based on protecting their family. There are some comments on politics, academia, and ambition, but mostly it's a tight thriller that kept me entertained all day. It's Remembrance Day here in Canada, a time to remember the veterans of all the wars that Canadian soldiers have participated in. Unusual for this year, the weather is mild. A special thanks to the soldiers in Afghanistan this year, trying to achieve peace and stability. At 11:00 am, there will be two minutes of silence in respect. Where is reading taking you today? Leave a comment here, or post to your own blog. I know sometimes it's nice to have a set topic to blog about. Three things have happened in the last couple days to get me thinking about Christmas already. 1. These Lindt peppermint chocolates truffles, with 60% dark cocoa! If I was Oprah, I'd be giving them out on My Favorites Things episode. Oh, my. I've noticed that they are a limited time offer. I'll have to stock up. 2. It's the Blogging Advent Tour! Sign ups at Marg's and Kaliana's went fast and furious. It was fun last year to see other traditions about Christmas. There were music posts, and movie posts, and trivia, plays, family traditions, and lots of cookie recipes. mmmm. 3. 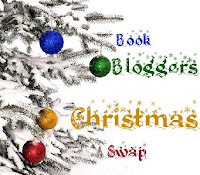 The Book Blogger Christmas Swap is being organized by Dewey and Nymeth. I always like Secret Santa at work, getting that little treat in your mailbox just makes your day. This will be my real mailbox, so even better. Think how much fun it will be with fellow readers sharing their love of books, or just a little treat. Check at dewey's or nymeth's for more details, but the important thing is to send an email by November 18. Looks like lots of interesting blogging activity going on in the weeks leading up to Christmas. well rounded challenge: A - Zed Title challenge, "D"
Part southern-70s time capsule, part coming of age, Drive Like Hell follows Luke Fulmer in the six months of his driver's license suspension for 'borrowing' a neighbour's car. Raised in a tumultuous home, with a mother teetering on alcoholism, a father who drops in from time to time, and a brother just out of jail for drug related offenses, Luke is trying to find his place and walk the straight and narrow. It's not easy when the moral boundaries are so very blurred. His father taught him to drive at ten years of age and his brother is his pot supplier. Yet they are not terrible people, and I imagine there are many people who grow up with an exposure to options that make the regular lawful existence seem the unusual, rather than the norm. Hudgens presents a quick moving, tightly written novel. The southern setting in the 1970s provides a backdrop of cultural references, but I never got a sense that this had to be written in that time period other than to be able to mention Burt Reynolds and television shows like Dallas and The Rockford Files. The story itself, with the drugs and juvenile delinquency, could easily have been set in the present. Luke and his brother talk about going legit and living lawful lives, but I don't think they know what exactly that means. Still, these drug dealing and taking people have dreams and a real sense of family. Luke often felt older than sixteen and was, in most cases, more mature and aware than most of the adults around him. My only sister and I have birthdays that are just three weeks apart. For many years, we've done birthday presents as an event, getting the same thing for each other. For example, one year we saw a play together about Motherhood, each buying the other the ticket. We've shopped for clothes together, buying the same sweatshirt or exercise gear. Basically what happens is we go shopping and if I see something I like, she offers to buy it, but since she really likes it too, I buy it for her, maybe in a different color. On our Mediterranean cruise, we bought each other hand made flip flops on Capri. We picked the same color and style. As an aside, they are my favorite sandals, and if they wear out, I will have to go back to Capri to get another pair. The best part of our tradition is that it can happen at any time we are out shopping together. Did we get birthday presents this year? Not yet? Here you go, Happy Birthday, I want mine in blue. One year, we decided to buy books for each other. We planned to get four books in total, and we went to the bookstore together and picked out books, blind from the shelf. It took us a long time, which ended up being an event in itself. I can't remember all the books, but I know Memoirs of Geisha and Clan of the Cave Bear were two of the books. For Christmas last year, we gave each other Ken Jennings' Brainiac. I laughed when I opened it, knowing I had given her the same book. What's your reading personality? Take the quiz here at bookbrowse.com to find out. Your responses showed you fitting into two different groups - the exacting reader and the eclectic reader. The expression 'so many books, so little time!' sums up your life. You love books but you rarely have as much time to read as you'd like - so you're very particular about the books you choose. You read for entertainment but also to expand your mind. You're open to new ideas and new writers, and are not wedded to a particular genre or limited range of authors. I thought I got pegged pretty good. And I think it is kind of neat that there was no html code to insert, just old fashioned copy and paste of the results. I had to go look for a picture I thought might match this meme and couldn't find much. I decided to have some fun with some classic Canadian comedy. Do you recognize everyone here? 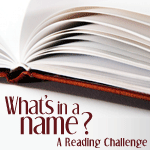 Can you believe new reading challenges are starting up? It seems early to start signing up, but I guess we have to start now, so we can pick and chose which challenges to join for the new year. 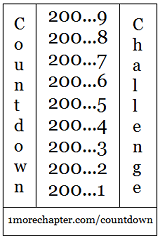 I am like a lot of people and looking to cut back a bit, but these new great ideas are suggested, like the Countdown Challenge and the Latin America Reading Challenge, and then there are the old favorites, like What's in a Name? or In the Pub '09 that make it hard to cut back. Stop with the fun reading challenges people! I am in Georgia, my brother is getting out of jail soon, and I can't wait to get my driver's license in Drive Like Hell by Dallas Hudgens. I think I am living a pretty rough life in this coming of age story. Where is reading taking you today? Leave a comment or write a post on your own blog. Another great Japanese mystery by Miyabe; I read Shadow Family earlier this year. This was named Best Mystery and Best Novel of the Year in Japan when it was published in 1992. A woman goes missing, and her fiance asks a distant relative, Detective Honma to investigate. Honma is off on leave after being injured on the job and after the death of his young wife. His life is pretty quiet, and the investigation is a welcome distraction. The characters are nicely written and enjoyable to follow around. The plot was tight and suspenseful, quick turn after quick turn. I really enjoyed the look at life in Japan, learning about family registrations, and the different types of red tape in that country. Same but different. The topic was timely as well, with a strong condemnation of consumer credit and the whole business of credit cards and consumerism. This book is fifteen years old, but in today's inflated finacial world, not much has really changed. There were a few sections that got a little preachy, but it didn't distract too much from the mystery. I liked how we followed the detective and learned clues along with him; there were no big surprise reveals, just step by step closer and closer to the end of the mystery. I must continue looking for Miyabe's mysteries. I've finished a few challenges lately, and should update. I only committed to 2 books, but managed more than that. Only 2 were proper long novels, which was probably why I only thought I could manage two. Something Wicked This Way Comes - Ray Bradbury I am half way through this and loving it. RIP is a great challenge, and I easily find books that fit this genre. Likely my most favorite type of book to read. I am in the middle of All That She Was Worth, and Too Close to Home is yelling at me to get started. I think my RIP will continue well into November. Thanks Carl, I love this one. 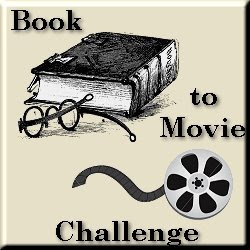 Read three books from September 1 - December 1, 2008 that have been turned into movies. Easy peasy. Good books all in all. I have a few more here my daughter wants me to read: Because of Winn Dixie and Ella Enchanted. I hope to finish them before the challenge ends. Thanks to Callista for hosting this one a second year. 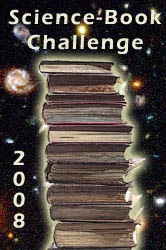 Here was a great little challenge - read three science related books. Since I teach physics, it seemed appropriate to join in. The Trouble with Physics was the one I learned the most from.